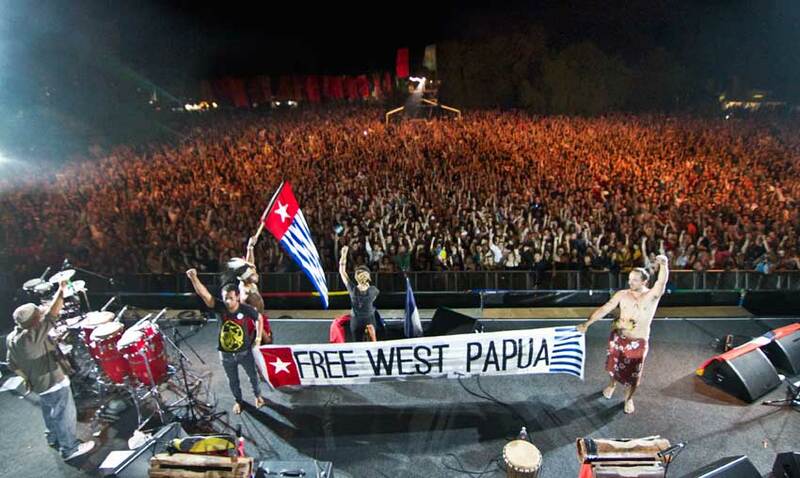 On Sunday 11 March at WOMADelaide, an amazing main stage performance by Blue King Brown with artists from West Papua gave life to a beautiful moment of solidarity when over 10,000 people raised their fists in the biggest public display of Australian support for West Papuan self determination. Blue King Brown invited members of the 43 asylum seekers, who were granted entry into Australia from West Papua in 2006, and co-founders of ‘RIZE of the Morning Star‘, to join them on stage. ‘RIZE of the morning star’ is a campaign that is calling for a peaceful, nonviolent solution to end the inhumane treatment of West Papuans. West Papua is only 250km from Australian shores and the support of the Australian people and Government will play a vital role in creating independence for this country. 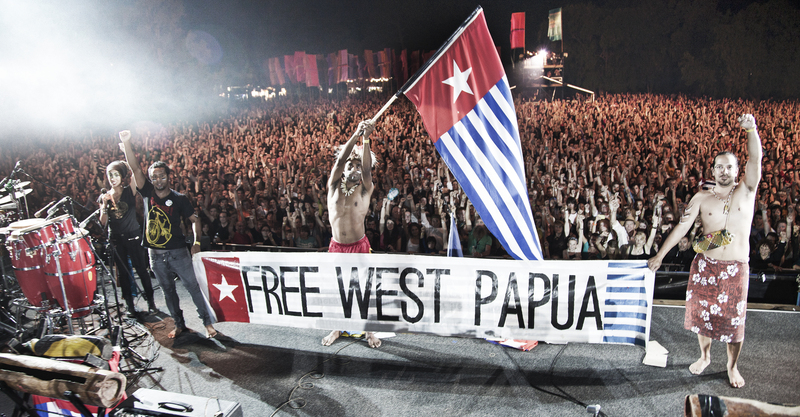 “I feel that the majority of Australians will be shocked as well as saddened to hear about what is happening in West Papua, almost 50 years of human rights abuse. We support human rights and justice, not just for West Papuans, but for all people everywhere around the world, and you can see that our global community is starting to demand that our voices be heard,” says Natalie Pa’apa’a of Blue King Brown. The West Papuan message is simple, they want self determination and are calling upon the international community for support. Thankyou Australians for your support.